"There's an Imperial defector in Jedha. A pilot. He's being held by Saw Gerrera. He's claiming the Emperor is creating a weapon with the power to destroy entire planets." 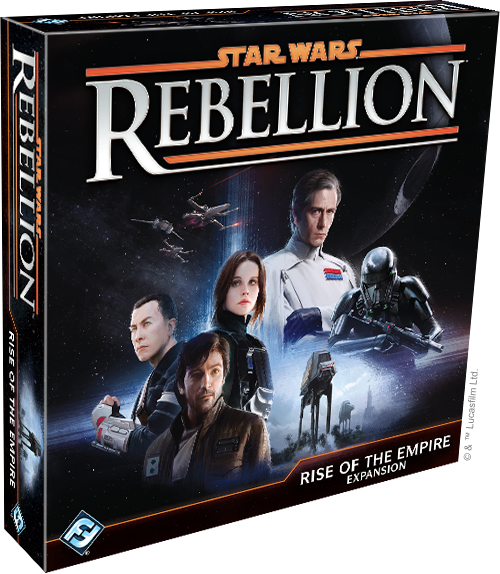 Fantasy Flight Games is proud to announce the upcoming release of the Rise of the Empire expansion for Star Wars™: Rebellion! Desperately outnumbered and outgunned, the Rebellion's very survival, then, hangs upon the surgical precision of its missions. As the Rebel player, you'll need to consider your options carefully. Will you attempt a Secret Mission alongside Cassian Andor? Will you fight Behind Enemy Lines with Saw Gerrera? Or will you focus on developing your forces, offering a Promotion to a leader like Admiral Ackbar or Wedge Antilles? The wrong decision may spell doom. The right one may save millions of lives. 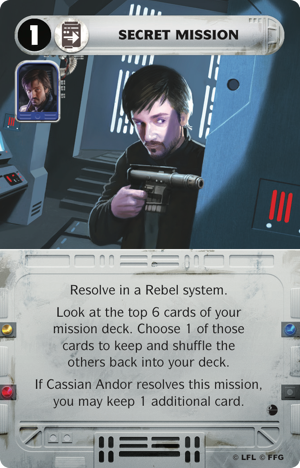 It's only natural that a Rebellion expansion inspired by Rogue One would feature a good number of daring heroes, scheming villains, and critical missions. But, of course, there's more to the film than its desperate, covert operations and spy work. The film just wouldn't be the same without its superlaser blasts and its climactic battles in space and on the ground. 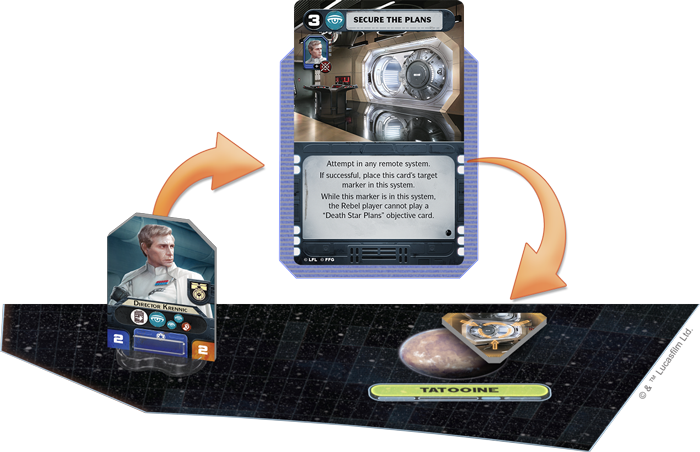 Similarly, Rise of the Empire wouldn't be the same without its new combat units, tactic cards, and the new rules it introduces for bringing them all together in massively cinematic confrontations in space or on the ground. 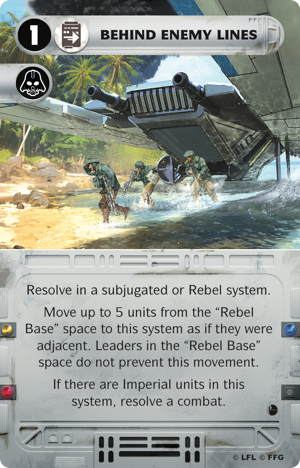 You'll have Rebel vanguards launching rockets against Imperial assault tanks. You'll find TIE Striker pilots weaving past Rebels entrenched with their Golan Arms DF.9 turret placements. And if you're the Rebel player, you may watch in horror as you realize the Imperials have developed gravity wells on their Interdictor that can prevent your Nebulon-B frigates from escaping into hyperspace. With Rise of the Empire, you can use advanced tactics cards to bring a new dimension to combat. 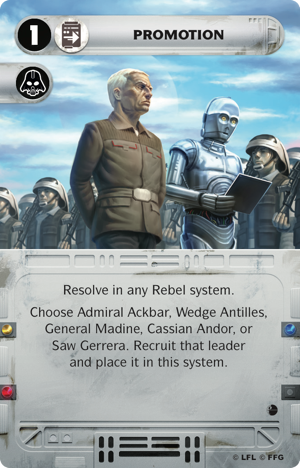 The Rebellion and Galactic Empire each gain their own tactic decks, filled with surprises that allow their units to use their unique strengths to change the course of combat. When you play with these advanced tactic cards, you don't just change the cards you play in combat; you change the whole nature of the combat itself. 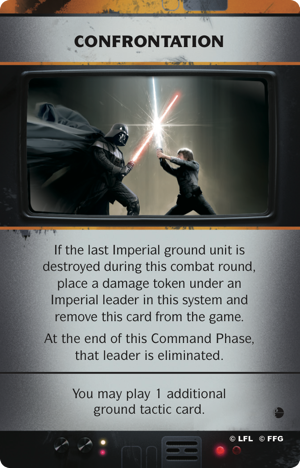 When you play with the cinematic combat rules from Rise of the Empire, you and your opponent each secretly choose one of these advanced tactic cards at the start of each round of combat. When the cards are revealed, their effects can have potent repercussions, many of which relate directly to the units you're fielding in the battle. There are others that may even reach beyond the theater of battle. 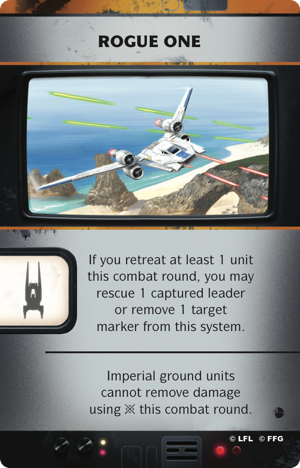 For example, if you play Rogue One in a combat where you have a U-wing and then retreat a unit in the round you play it, you can rescue a captive leader. Suddenly, your round of combat gains a bit of the story element usually associated more closely with your missions. Or if you arrange a winning Confrontation , you can eliminate one of your opponent's leaders! New leaders. New missions. New tactic cards that lead to more fully cinematic combats. Rise of the Empire isn't just inspired by Rogue One; it follows the movie's example, adding new depth and story to the Rebellion game experience just as seamlessly as Rogue One provided new insight into the Galactic Civil War presented in the original Star Wars trilogy. What will you become when the galaxy erupts into an epic series of conflicts? 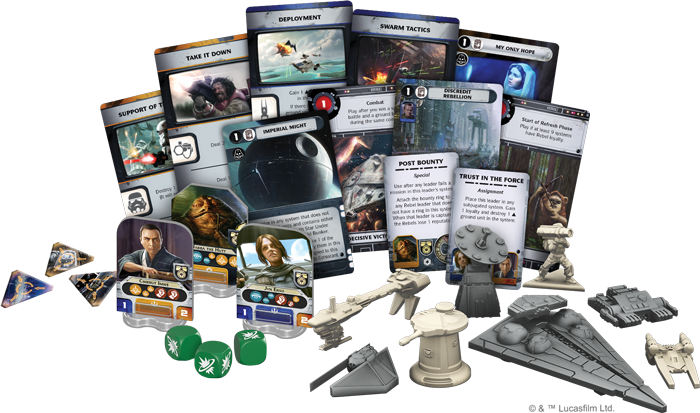 Rise of the Empire (SW04) is scheduled to arrive at retailers in the third quarter of 2017!